Diane Embree is on Wendy’s WOW List of Trusted Travel Experts for her expertise and connections in Bali. The reviews below are from real travelers who’ve taken trips that were arranged by Diane and monitored by Wendy. Don’t miss Diane’s Insider’s Guide to Bali. "The experience was magnificent + thrilling…"
Diane was very knowledgeable about Bali and parts of Indonesia. She used an intermediary for our visits to Borneo and Malaysia, so her planning was less useful in the latter two countries. We might have been overbooked in Bali as we could have used more downtime. The guides she provided in Indonesia were excellent, but in Malaysia and Brunei, the guides were a mixed bag, some very good and some less so. The WOW moment she arranged was excellent! It can only be described as WOW. 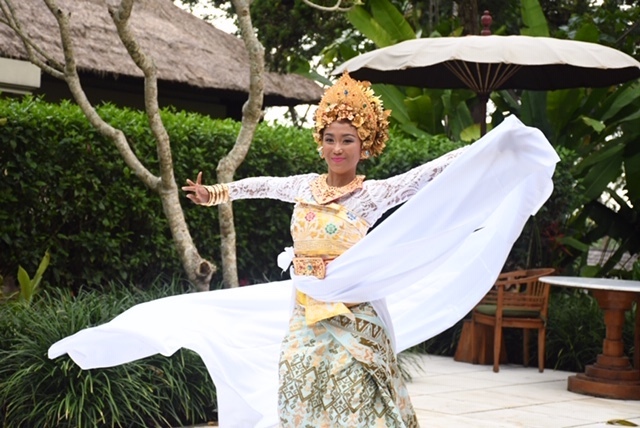 Contemporary Balinese dancing at our doorstep. Dewi even got the two of us on our feet + dancing. She danced for us with no one, other than Rucina Ballinger (who organized this at the request of Diane) at our side. The experience was magnificent + thrilling — and what a surprise! Four days into our trip, so we were still jet lagged, we were invited to a private area of our (beautiful) hotel to watch something riveting. We quickly forgot our jet lag. She and Rucina responded to our many questions, we shared stories, and learned something about Balinese dancing. Any dancing we saw later could in no way approximate our experience with her. I should add that we had a lovely Balinese ‘tea’ – but the star of the show was Dewi + her dancing. My friend and I looked for snorkel trips in Indonesia for about a year. After several dead ends, we contacted Wendy Perrin for help. Diane Embree was my first Wendy experience and it was all we expected and more. She asked all the right questions and gave us a great list of sailing trips, activities in Bali and a unique experience in Borneo. She was very responsive and patient building the perfect itinerary. The Seatrek cruise, Seabirds, Cetaceans, and Spices with naturalist Gert de Jong, was a unique, once in a lifetime experience. We were entertained and stayed in a zen mode for the next 12 days on a beautiful and comfortable 10 cabin ship. The itinerary included Rinca, where we saw Komodo dragons, Bonarate in the Flores Sea and then Wakatobi for snorkeling in awesome reefs and birding for the folks interested in them. Last was the Banda Archipelago once the world’s only source of nutmeg and mace. The unique beauty and cultural heritage in a place that was remote and showed us untouched Indonesian culture. my friend and others from the boat strolled through the old town. We had a unique dinner in an old hacienda where Princess Diana and the Rolling Stones stayed in the 1980’s and 90’s. Several folks did an early morning ascent of Banda’s Gunung Api volcano. It erupted in 1988 and you can still see the lava path into the water, where the coral was burned. Today, a snorkel there shows the amazing natural growth of coral since then. It was a once in a lifetime view and I had a hard time leaving the water. The day we left for Ambon, we sailed the ‘Sonnegat’ (sun’s gap) between Bandaneira and Gunung Api, escorted by a ‘Kora-Kora’ sea canoe, rowed by over a dozen local men just like ancient times. We then returned to Bali to stay in a suite at Komaneka Resort in the heart of Ubud. We went to the mountain village home of our guide, way off the beaten track Bali culture. We had home-made lunch prepared by the women living there, listened to the instruments of the village gamelan orchestra and even learned to play with them. Good workout – the cymbals were heavy! This unique cultural experience was thrilling, especially the older Hindu man’s dance with the orchestra. I will always remember his face and sweet smile. The next day we visited the Tirta Empul holy spring temple at Tampaksiring for a ritual purification. We cooled off going to the fountains representing stages of purification. Next, the dukun (Balinese healer) released tensions and muscle pain in the beautiful home where at his beautiful home where he and his ancestors practiced healing for countless years. Next, we went to Puri Naga, a fascinating private home and art studio. It was the most unique place I have ever seen. I was pretty tired when we arrived at ARMA (Agung Rai Museum of Art) so my friend did the tour while I rested at the beautiful fountain. We ended the day at an amazing art gallery filled with wood carvings – and we purchased some beautiful elephants carvings! Our wonderful guide took us to the Bali airport the next morning to go to Pangkalan Bun, Kalimantan. We were transferred to a traditional wooden Klotok riverboat to cruise into the rainforest to see the Orangutans. The riverboat had a guide, boatman and cook. The food was wonderful, the crew was sweet and skilled. We saw a family comprised of wild and rehabilitated Orangutans, eating bananas and allowing us to see babies with mothers, young Orangutans, and older family members. It was a trip of a lifetime – and I would love to return there for more adventures! Diane planned an amazing trip for us to visit both Bali and Borneo in September. During the planning stage, Diane carefully listened to our requests and designed several itineraries for us to choose from. The accommodations and guides were outstanding. Her hotel/resort recommendations were exceptional. Diane showed great flexibility in designing a relatively short but comprehensive trip for us to Bali and Borneo. We were able to have a full culture experience in Bali and great wildlife sightings in Borneo. We couldn’t have had such a once-in-a-life-time experience in Borneo without Diane. Diane listened to my interests and recommended the itinerary in Toraja! It was fascinating. All logistics – from planning, through last-minute modifications, through guides & driver – were handled smoothly and professionally. Diane was also fabulous in answering my many, never-ending, questions! Diane planned a 30-day itinerary for our family (5-year-old twins and my wife and I) throughout Indonesia. Although we travel often, we could have never planned such a seamless vacation. Her working relationship with our guides was evident. We were taken care of, educated, had our hands held and welcomed into homes in villages that we would have never had access to. Diane’s 30+ years of traveling in Indonesia and discovering new hotels, gorgeous/idyllic islands and an obvious expertise in routing our journey was evident. Diane has relationships with villa owners/managers in areas of Indonesia that would have been nearly impossible to find on our own. These accommodations are not in guide books. We could not have been happier with our trip that Diane planned for us. Diane planned an amazing trip for us. She carefully listened to our wants and needs and put together an excellent itinerary. Our trip was relaxing and fun, and we didn’t have to worry about anything. The accommodations and guides were outstanding, and we had just the right mix of R&R and activities. Before our trip, Diane was readily available when we had any questions. Highly recommend! Diane was amazing. Her recommendations for a stay at COMO Uma in Ubud was exceptional. All her arrangements were executed in a professional and timely fashion. The two gentlemen that accompanied us, I believe their names were Agus & Agung, were very polite accommodating and professional which made us very comfortable. Although I have traveled quite a bit internationally, this trip to Bali was my first foray into Asia. On recommendation via Wendy Perrins site, I decided to work with Diane Embree as a local expert. My trip was originally planned for late October 2017 but due to the suddenly active volcano (which even resulted in a shutdown of the airport), Diane was kind enough to help me reschedule for March 2018. My anxieties were quite high, but I always felt Diane would help me navigate the change and she didn’t let me down! Her guidance from the planning stage through the return home was invaluable. I felt I was heard, the plans were a unique mix of relaxation time and discovery- including many personal touches and memorable moments. I can’t wait to return to the region again soon. I’ve never felt so relaxed! I recommend working with Diane wholeheartedly! I am confident my experience was exponentially enhanced due to her advice and expertise. She knows Bali inside and out. Diane Embree was excellent in all stages of the planning process. She knows Bali inside and out and is a wealth of information. Even with a time difference, she was prompt to respond to my emails, answer questions, and have numerous phone conversations with me. We spoke so many times and she never hesitated in answering any of my questions. She even sent us a packet of helpful information to help prepare us for our trip. It’s obvious that Diane loves Bali and is eager to share her love of Bali with others. She has many contacts in Bali and is an expert at what she does. I am so happy that I found your website because without Diane Embree there would have been no way that I could have planned a trip to Bali on my own. Thanks, Wendy! Diane clearly puts in the yearly travel to Bali to replenish long standing relationships and develop new ones for her clients. Diane showed great flexibility in designing a relatively short but comprehensive trip for us to Bali. One of the main attractions to Bali is the diversity, from sea and sun to mid-island culture to mountain hikes and tea & coffee plantations. Diane is fluent in all aspects of the island and will tailor a great itinerary replete with wonderful accommodations. We were able to have a number of detailed conversations. Priceless. In a word, that is how is feel about Diane Embree. Being fortunate to travel extensively for work and pleasure, I was used to planning all my trips myself. However, as I began to research my latest adventure to Bali, I was quickly at a loss. How could such a small island have so many options for so many things to see and do – whether they be cultural or spiritual explorations, just sheer relaxation, or immersion in active pursuits. I have followed Wendy for years, so when I saw how highly she regarded Diane, I knew I had to reach out to her; that Diane was the answer to my dilemma. As mentioned already in previous reviews of Diane, she knows Bali intimately in ways only someone going there for many years can. And, going every year to remain current with the condition of accommodations, quality of restaurants, standards of guides and drivers, and most current conditions in Bali makes her an invaluable resource in planning your trip. The trip could not have been more magical, but it wouldn’t have been without Diane’s guidance, expertise, and her genuine love of Bali & its people. But most importantly, her insights – into me, as well as Bali. Because we were able to have a number of detailed conversations, she knew what would make me happy, my taste level, my desired style of travel. This meant I could trust her to select just the right places to stay, down to planning interesting and beautiful experiences each day. With her growing knowledge of my interests and knowing the island like the back of her hand, she helped create a once in a lifetime experience for me. But, it is key for you to share your thoughts and wishes with her. Only then, can she plan something specifically tailored for you. 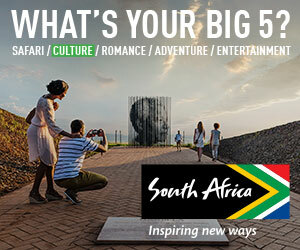 And in doing so, turn your lovely vacation into an experience that goes beyond your wildest imagination! I will forever be grateful to her. I want her to plan all my trips from now on – no matter where I go. A glowing testament to Diane’s talents, I would say! I traveled to Bali in April 2017. Diane was very attentive and listened to us concerning our desires for our trip to Bali. She was available when we had a couple of hiccups during our trip and addressed the issues in a very prompt manner. Looking back, I wish I would have done more research or she would have suggested that the 2 1/2 weeks we spent in Bali could have been spent on many different islands/experiences in Indonesia. For me, 5-7 days in Bali would have been plenty. I’m thrilled to have traveled to Kalimantan to see orangutans. I would have (looking back) loved to have gone to other islands and experienced other cultural and natural things. I would highly recommend Diane as a Bali travel agent! Travel experience was enhanced notably. Diane Embree scheduled an hour for a phone call with us prior to the trip. We discussed our preferences for Bali excursions and where we wanted to stay in Ubud and in Nusa Dua. The trip was perfect for celebrating our 25th wedding anniversary. We took in many diverse sites in the Ubud area from the Komaneka at Bisma, which had a warm, caring staff, superb facilities, and delicious food. The Nusa Dua Beach Hotel upgraded us to a lagoon access suite, which was very relaxing. While we were on the trip, Diane checked us in for our Garuda flights. She lined up affordable luxury with a fascinating itinerary. Bali is a unique destination which is well worth visiting. We were grateful to Diane for lining up the perfect guide (Agus, who spoke English well) and driver (Kadek). We are grateful to Diane for scheduling a personal visit for us to the home of a clothing designer named Nadya, whom we met. Diane prepared us really, really well for our trip. We felt truly fortunate that we could make use of her excellent insight. She is a gem. Diane was so good that we will now check your agent list prior to any overseas trip. Thanks to Diane, our travel experience was enhanced notably. It was a great balance of guided travel and looking around on our own. Thank you! Diane provided outstanding service from start to finish. From our first contact to booking, Diane was able to provide answers to all of my questions in a timely manner. Dianes suggestions of what to see and do in Bali were excellent, and we could not have planned or arranged an itinerary like this without having her expertise and guidance. The day we spent in the village (Pacut) was without a doubt one of the highlights of the trip – the community was welcoming and we were honored to be able to share the day with them. Agung, our guide, was great. He made us comfortable from the get go and was able to adjust the itinerary to accommodate some unforseen circumstances. If your travel plans include Bali, no need to do the extensive research – just contact Diane. Thanks for the amazing trip! Wendy, it was a pleasure to work with Diane. Thank you for the suggestion. Can’t wait to decide where we want to go next…when we do, I will be in touch. Just returned from a Fabulous two week trip ( July 9th to July 23rd 2016) to Bali that Diane Embree arranged for us. Diane is a joy to work with from start to finish. She took excellent care of us! Her attention to detail and ability to tailor our trip to our taste resulted in a trip of a lifetime. Her local contacts and knowledge of the island allowed us to see parts of Bali not frequented by other tourists. Diane is a Bali expert! I can’t recommend Diane highly enough for anyone traveling to Bali or Indonesia. Diane Embree was very professional and knowledgeable — chose the perfect hotel for us in Ubud. And the private village visit is a must — what an incredible hands-on experience! I’ll never forget playing in the village orchestra. When we have children, I hope to take them to Bali for the same experience. I will recommend Diane to everyone! Diane was pure joy to work with!!! Professional, knowledgeable with great suggestions and always available! All my questions before and during my trip were answered promptly! There were no issues or problems …all due to her perfect planning and organization! Diane was fantastic – The trip was perfectly planned, our guide was great, and the hotels / activities were top notch! Before connecting with Diane I had already previously vacationed in Bali four times. I also speak the Indonesian language fluently. So I already knew a lot about Bali. However, as much as I know, I know that there are others who know much more about Bali than I do. That is why I hired Diane to help me and my wife plan our dream vacation in Bali. My wife and I are very picky and with all that we had done previously in Bali, it was not a simple task. But Diane was a tremendous resource who helped us put together our best vacation ever. She recommended and helped us get a suite at Komaneka Bisma. The room was in the exact location in the hotel that I had wanted. It had the wonderful view that I was seeking. She had also highly recommended getting the Pool Villa but we chose the suite instead. Once there, we had a chance to see one of the Pool Villas, and yes, Diane’s recommendation was perfect and we wished we had followed her recommendation (it was much better than any of the photos online). Nevertheless, the suite we got was wonderful. It was the amazing service that the Komaneka staff provided that blew us away. It was the friendliest, warmest and most proactive service that we had ever experienced. We truly felt like VIPs. They catered to our every need and kept asking us what else they could do for us. The service by everyone, from top to bottom, from the gardener, room service, house cleaning, front desk, restaurant, spa, store, etc. was perfect. They really treated us like an important family member. The last part of our trip was at Amankila. The most beautiful place that I had ever stayed at. The service here was also truly exceptional. I loved it so much there that I did not want to leave and wished that I had booked more nights there. The price is quite high, but after my experience there, I believe that it is worth it. Thanks to Diane, she was able to get us a complimentary upgrade to a villa with a fabulous ocean view. I did not realize how much I would enjoy having this view from my villa. Thanks to Diane’s services we were able to have the best vacation ever. Diane not only knows Bali inside and out, but she also provides first-class personalized service, is very prompt to respond to all emails, has great interpersonal skills, and is a true pleasure to work with. She deserves her reputation as one of the Top Bali travel experts in the world. Very well done Diane. I recently had the pleasure of working with Diane who created, planned, and delivered the most wonderfully intricate itinerary for my client. I have been a travel agent for over 30 years and Diane Embree is one of the very best specialists I have ever worked with. She knows Indonesia and is able to deliver for her clients memorable experiences using the best guides. For our second trip to Bali, with our daughter and her family in tow, we turned to Diane Embree again to help us plan. The trip was perfect; the grandkids (ages 13 and 10) absolutely loved the places and the mix of activities, including the wonderful Balinese dances and a visit to a village where they got to play with the gamelan orchestra and learn about how the villagers live. The accommodations were wonderful. The thing I love best about Diane is her genuine attention to the type of experience we wanted, and working to make that happen. She’s there for you in every way. Diane made it possible to enjoy one of the most wonderful places on Earth without thinking or stressing about the challenging details that come with traveling to a foreign country. From hotel recommendations, to the local guides and unique itinerary, Diane provided an A+ experience that vastly exceeded our expectations. Cannot more highly recommended a travel specialist for your trip to Indonesia. Diane was amazing. She knows Bali in and out, not to mention the rest of Indonesia as well. Not only did she set up the perfect honeymoon trip for me and my new wife, but checked in with us throughout the trip to make sure things were going smoothly. Her name clearly goes far, as every guide and hotel we stayed at made sure that as “Diane clients,” we were treated well and everything met or surpassed our expectations. Whenever we go to Bali (hopefully soon! ), we will be sure to use Diane again. Thanks to Diane’s work, we just returned from our amazing trip to Indonesia, with stops in Jogyakarta, Bali and Lombok. 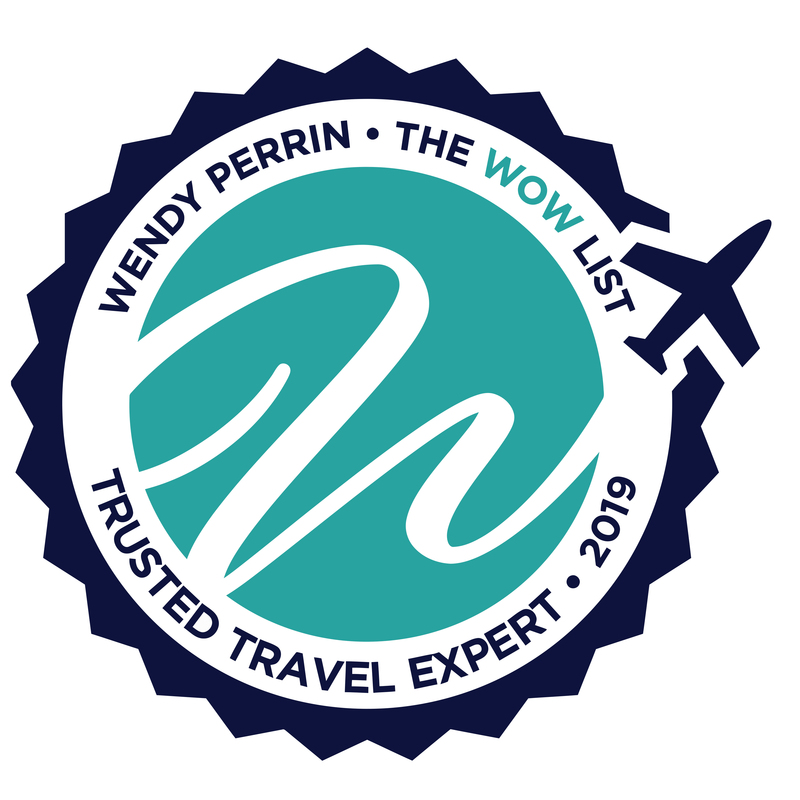 I’ve used Wendy Perrin’s travel specialists before so I looked specifically at Wendy’s list for a specialist who knew Indonesia, particularly Bali. Diane responded quickly to my email and from our first telephone conversation, I knew I was in expert hands. Diane asked detailed questions to get a good sense of our interests, our preferences, and then we worked together to finalize an itinerary that fit us. She handled everything—the flights, hotels, guides, drivers and more. What resulted was a trip that far exceeded our expectations. I had not really considered Yogyakarta as a destination but after talking with Diane, we chose to spend two days there. The Phoenix Hotel was lovely and the executive room was specious, charming, and full of Indonesian flavor. Our guide, Tis Lingga, was incredibly enthusiastic about her city and her country, and continually sensitive to our interests and needs. The Sultan’s Palace gave us a glimpse into Javanese history. We were astounded by sunrise at Borobudur, and charmed by the little local restaurant on a river where we had a wonderful lunch. Our next stop was Ubud, Bali, and here Diane laid out a plan that enabled us to truly feel like we had experienced the culture of Bali. First, our hotel, Uma by Como, was absolutely lovely; we could not have been happier with our pool villa, the staff, the service and the food. Our guide, Agung, and our driver, Agus (they are cousins) were the best! From the moment they picked us up at the airport, I knew we were in competent hands. Diane had arranged experiences that were incredibly powerful for us. We were there as one holiday, Galungan, was ending and Kuningan was taking place. Agung introduced us to the significance of the holidays, and we enjoyed seeing the Barong parading through Ubud and the penjors that decorated homes, businesses and temples throughout the island. We were so moved by our purification ceremony at Titra Empul, and benefited from learning about traditional healers when we each received a treatment from a local healer in Ubud. One of our highlights was our day in the village where Agung and Agus live. We were incredibly touched by Agung taking us to his home where we met his wife and daughter. We spent the day in Agus’ family compound, where we learned how to make offerings, had a fabulous lunch, and played with the village gamelan orchestra. Most touching was being there for Agus’ son’s birthday and going to the family temple with them as they took their offerings and the priest prepared for the ceremony. Their families were warm and welcoming, and we felt like we had a real sense of village life. The highlights go on and on including traditional dances, a cooking class, a batik class, museums, village visits to see handicrafts, and more. On our last night, as we walked out of our hotel to go to dinner, we had our last special moment—we walked right into a huge crowd of people leaving their temple festival! Bali was fantastic. Our last stop was Lombok where we stayed at the truly unique Tugu Lombok, a hotel right on the beach with fascinating art, architecture, and great dinners. This was our downtime to relax before heading home, and the hotel was a perfect spot to do it. Diane’s advice and arrangements allowed us to feel comfortable and confident as we traveled on the three different islands. She made our lives easy by providing lots of tips, a restaurant list, and a sheet of basic phrases to help us with our Indonesian language. Finally, her insider knowledge facilitated a rich cultural experience that gave us a glimpse of Indonesian people, their history and their culture. We will treasure our trip for years to come. My husband and I just returned from the most fabulous honeymoon in Bali. Diane arranged the perfect trip—which had us stay in three different parts of the island to enjoy all the activities we were interested in. Both her planning and hotel suggestions were fabulous. From elephant riding to snorkeling to cooking classes, we enjoyed so much on this gorgeous island. We had a wonderful guide who enlightened and took great care of us. The Ubud Village Resort and Hotel Tugu are two of the most incredible places I have ever stayed and I would recommend both Diane and those gorgeous properties to anyone. Diane was wonderful for Singapore and Kuala Lumpur. We asked for a very full schedule and she included everything plus. I think she even talked to the weatherman, for our stay was perfect. The highlight of our time on Bali was our day in Pacut Village. Pacut is so far off the tourist circuit that the only way you can visit it is through arrangements made by Diane Embree We wove coconut leaf hats from scratch (with ample help from some village elders), ate a traditional Balinese lunch, walked through the adjoining rice fields, visited the home of our guide, and learned to play several traditional Balinese instruments with 20 or so village gamelan musicians. We even got up and danced with a local Balinese dancer who was accompanied by the entire gamelan. After the dance we showed them a little bit of our Swing dancing—the musicians watched what we were doing for a minute or so and then seamlessly started playing their instruments in perfect Swing-time. To top the day off, we met our donated cow, and the poor village farmer we had arranged to donate the cow to—all arranged by Diane. Also of note was our cooking class at Puri Lumbung cottage—under the supervision to two local chefs, we prepared a traditional Balinese lunch, the best lunch on our trip. All in all, the arrangements Diane made for us on both Bali and central Java were excellent. The guides and drivers were knowledgeable, flexible, engaging and always on-time; plus they spoke excellent English. The bottom line is that Diane’s WendyPerrin.com endorsement is well-deserved. If you are planning a trip to Indonesia you can’t do better than to work with Diane. She’s an expert on all things Indonesia—not just Bali. We had six weeks this past Sept/Oct (2014) to explore this huge archipelago, and Diane was so helpful in understanding our interests (and dis-interests) and putting together the perfect trip for us. Her advice and expertise was spot on, and she organized tours for us that no one would be able to do on their own without her close contacts, especially in Bali. Our trip was truly unique and tailored to us and we couldn’t be happier with Diane, from the complex travel arrangements to the tours and visits. We now have a lifetime of incredible memories. We are currently living in Asia, but when you work in Asia, you don’t get to travel so much. When my husband said he had an upcoming factory shutdown for a week, I knew I wanted to go to Bali, but I didn’t have time to research it and book it when it was only 14 days out. I turned to Wendy Perrin’s list of Trusted Travel Experts, and contacted Diane Embree. I cannot express how happy I am that I did so. We had just the right balance of sightseeing with a private guide and relaxing in the serene gardens at our well-located hotel. And all for less than the price it would have cost me to procure the same quality trip if I’d been left to my own devices. I used to spend hours researching and planning and booking our vacations. It never works out as well as when I deal with someone who actually knows what they are doing, who knows the destination, and the accommodations, restaurants and sights. We couldn’t be happier with our trip, and with Diane’s service. We had talked about vacationing in Bali for some while, and when we made the decision we also concluded that, because of the distance and cultural differences, we needed help with planning and reservations. We bought assorted guide books to Bali but they were so full of detailed information that it became confusing. Through the Internet we found Diane Embree with Michael’s Travel Centre and Bali Barong Tours in Westlake Village, CA. In addition to being delightful to work with, she was also promptly responsive to any telephone or e-mail questions. After a telephone conversation with us, Diane provided a two-week itinerary that suited our needs and interests perfectly. She was able to match our interests with specific locations and arrange reliable, comfortable travel around the island. The hotels were superb, the guide and drivers on Bali were outstanding, and the arrangements Diane provided worked flawlessly. We would wholeheartedly recommend Diane Embree as a travel consultant to anyone planning a trip to Bali.